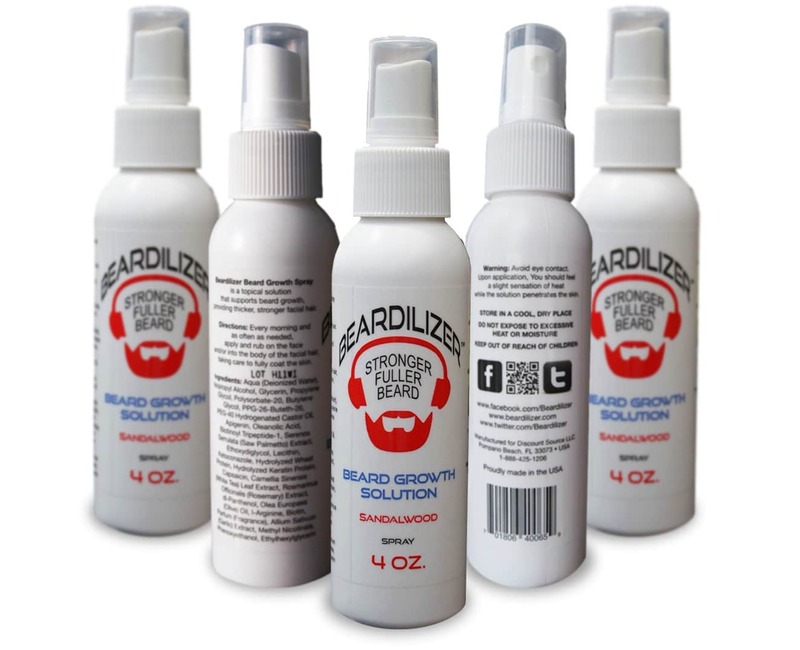 Beardilizer has always prided itself on having the best beard products on the market. We understand that sometimes taking a daily supplement might not be something that you want to commit to since often times life gets in the way. Using a beard spray is one of the many ways that Beardilizer is there for you and your beard. What does this product do? Read on and stay informed! This just might change your beard game. Beard growth is tricky. In previous blogs, the Beardilizer team talked about how growing in ‘patchy’ areas can take months. Taking supplements to help the process along works for some, but not all people. When you’re trying to stimulate beard growth, exploring all options is something worth considering. If your schedule is hectic and you don’t think that you can remember to take a daily supplement, integrating the Beardilizer beard spray might be best for you. The spray can be applied directly to the skin or even to your hands so that you can work it into your beard as a styling product. Beardilizer has worked exceptionally hard to make this product as versatile and easy to use as possible so that you can maintain your beard while you are on the go. Did we mention that it is vegan? It’s vegan! Unlike all of the vegans that you know, no Beardilizer product will remind you every twenty minutes that they’re vegan. * Again, these products are meant to be the best of the best. Using the Beard Spray on an as-needed basis will not only help you promote hair growth but if you apply the product manually, it gives you the ability to asses just how your beard is progressing. The spray smells like sandalwood, giving your beard that magnificent rugged smell without the sweaty down side of a brisk summer hike. Like all Beardilizer products, this spray is made in the USA so not only will you be the manliest man on the block with your gorgeous beard but your hard earned cash is essentially a charitable donation to helping make this country more beautiful, one beard at a time. Never thought about that, did you? One unique aspect of this product is the tingling sensation it causes when applied to the skin. What is that tingling, you may ask. Well, you know that all Beardilizer products are vegan. All products are created with the goal of making your beard the best. One can safely assume that biotin, the amazing natural compound that promotes hair, nail, and skin growth, is in the beard spray but what naturally existing, healthy compound could cause a tingle. Well, look no further than the delicious chili pepper. Beardilizer offers you a product that contains capsicum, making it so much easier to stimulate your skin. Be warned, this spray should go nowhere near your eyes. Again, this spray should go NOWHERE near your eyes. Think about the pain associated with a tiny shot of pepper spray. Studies show that daily capsicum use stimulates hair growth, despite it being a circulatory stimulant. When the heart pumps, the beard grows! The good news is that our beard spray now contains a new and improved formula that is not only more effective, but it also packs less heat. For those who tried out product in the past and didn’t fancy the burning sensation, you can rest assured that there is now much less of that, and instead much more beard growth potency in play. There you have it, Beardilizer readers. #Science and #facts are both on your side when it comes to the evolution of your beautiful beard. Pick up the Beard Spray and let us know how your beard looks in two months! *Sorry vegans. Beardilizer loves you, too.